Dinant – Birthplace of the Sax! 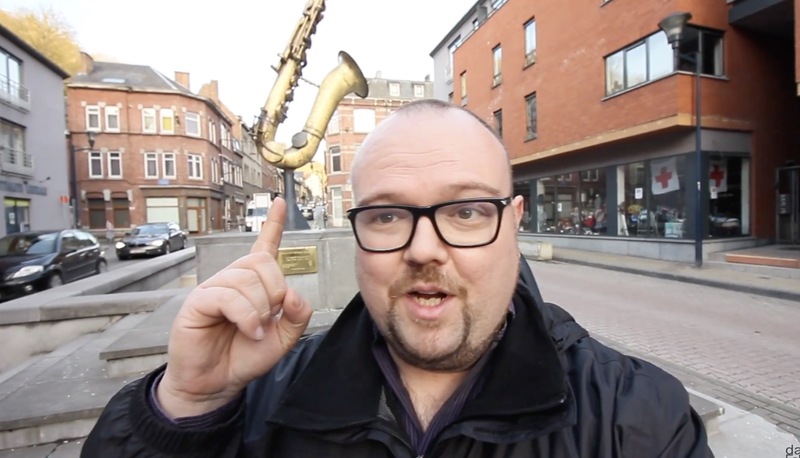 On a recent European Tour I was fortunate to be able to detour to the picturesque Belgian City of Dinant, birthplace of Adolphe Sax, inventor of the saxophone! 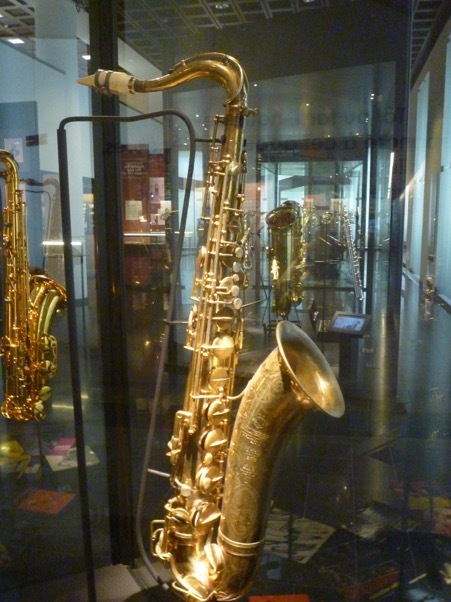 Whilst visiting Dinant I visited the Adolphe Sax museum, (which is in the same spot as the house where young Adolphe grew up!) There is a small exhibition and a bench outside of the house where you can sit with a sculpture of Adolphe and enjoy the view. If you’re ever in Southern Belgium I’d advise you take a pilgrimage to Dinant and pay homage to Mr Sax! 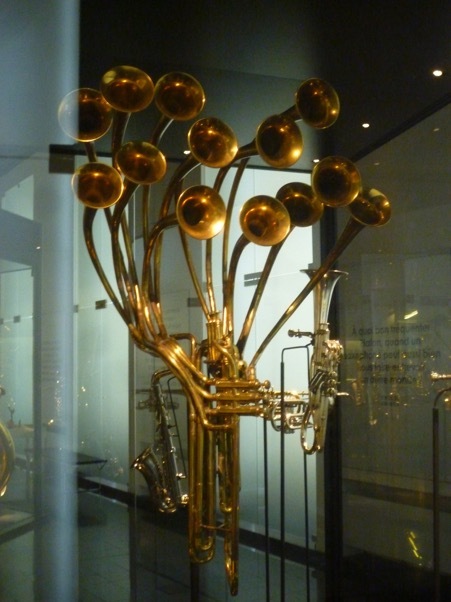 I was thrilled that my student Kim Keates went to visit the Musical Instrument Museum in Brussels for their Adolphe Sax 200 exhibition and saxophone display. I was even more thrilled when she offered to write about her experiences, and include some photographs – thank you Kim! The shrill alarm cut through the darkness at 5 am and, as I awoke, I felt a rush of excitement when I realised that today I was travelling to Brussels. The journey to St. Pancras was uneventful; quick check to make sure that I had my passport, then into the waiting lounge of Eurostar. The state of the art design of the train and the European style uniforms of the attendants set the scene for my journey. I had thought about making this journey for several months and, here I was, standing across the road from the Musical Instrument Museum (MIM). The excitement built as I entered the beautiful art nouveau style/neoclassical building. 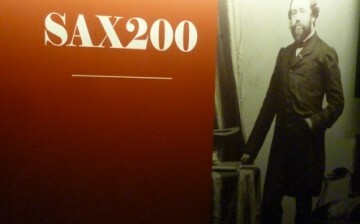 A whole floor had been dedicated to the instrument maker, Adolphe Sax, to celebrate the 200th year of his birth. 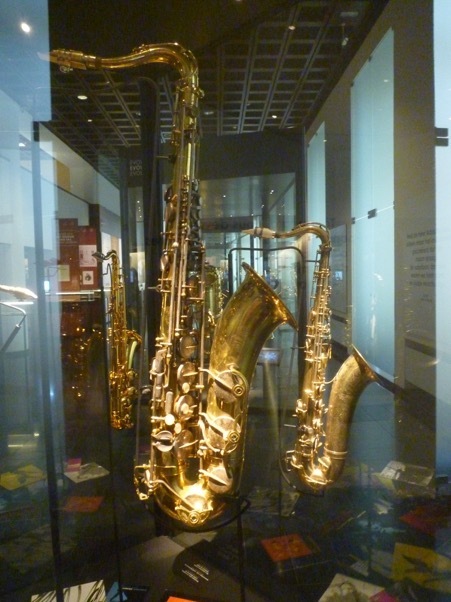 What a treat it was to look closely at some unusual musical instruments, and to marvel at their design; to stand next to a tenor saxophone owned and played by Dexter Gordon, and another, by Coleman Hawkins! 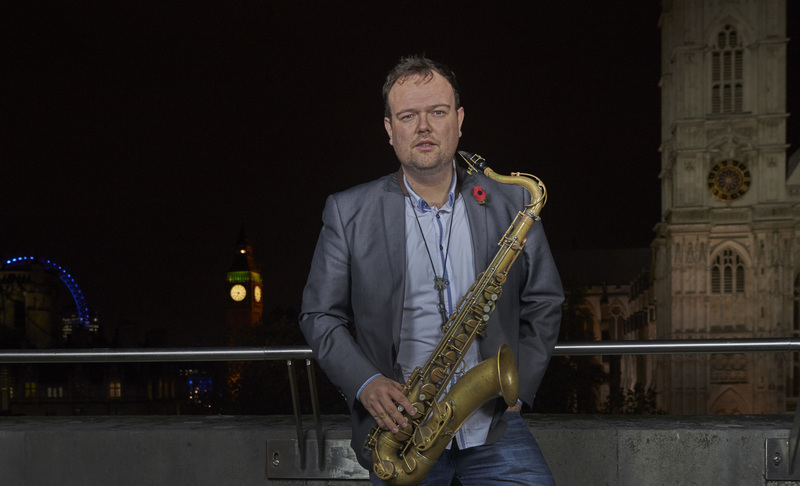 In a way, the trip was my way of connecting further with the instrument that I have grown so fond of; to find out about the man, who, in 1857, invented the saxophone, and in turn, started me on my musical journey. Thursday, 6th November was truly an eventful day. 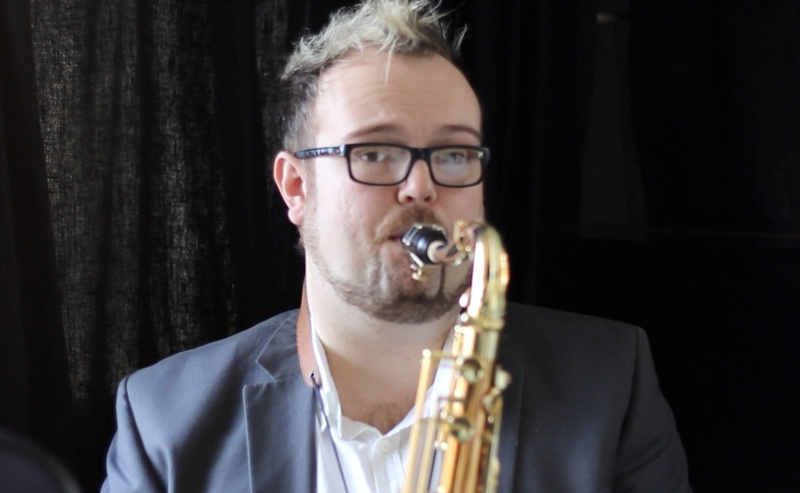 Saxophonists and music lovers from across the world celebrated the 200th birthday of Adolphe Sax, the man who invented one of the most expressive and personal instruments ever – in my humble opinion anyway! Throughout the day I sent out various bits of information, including a number of videos. I won’t post them here but if you visit my Facebook or Twitter pages you can find all the links there. During the day I popped over to the Poppy Field in Westminster Abbey and was truly moved by the display, even more than when I visited the superb installation at the Tower of London. I was reminded how important our ‘call for peace’ was to the concert in Berlin. Over there they were also celebrating the 25th anniversary (the actual day is Sunday 9th) of the fall of the wall that had divided their city. The very building on which we shot the video (Methodist Central Hall) was the venue for the foundation of the United Nations after the Second World War. And of course 100 years ago the ancestors of all the musicians playing for this event faced each other across the battlefields of Europe. Let’s make sure that generations to come after us never have to fight each other. Let’s work for peace and reconciliation, creating a spirit of unity through music. 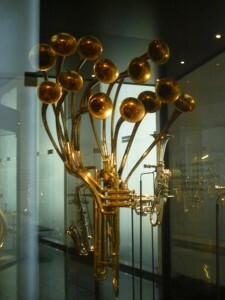 P.S Make sure you read the experience of my student Kim, who visited the Musical Instrument Museum in Brussels to view their special Saxophone exhibition!